Over 150 flights have been cancelled as heavy fog has settled over parts of Chicago, according to the Department of Aviation. The fog, present nearly all day Sunday as humid air moved into the area, has cancelled over 100 flights at Midway alone, with 102 total flights cancelled on Sunday. 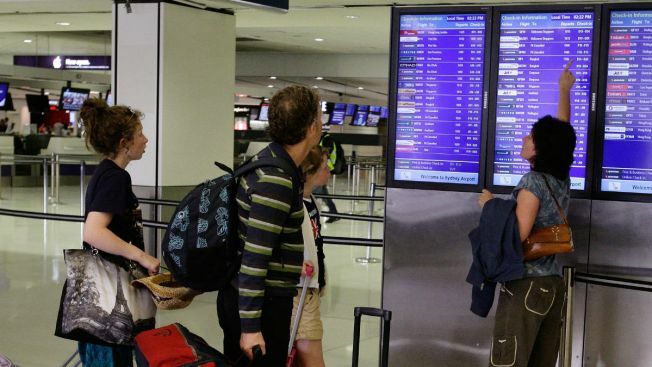 O'Hare Airport also had numerous flights delayed and cancelled, with 61 total flights cancelled according to the Department. A Dense Fog Advisory remains in effect throughout the Chicago area until 3 a.m. Monday morning, according to the National Weather Service. Visibility is expected to be reduced to less than a quarter mile at times, and the NWS is advising motorists to slow down and to make sure to use their headlights.